Not a week goes by without more worrying news, whether about rising unemployment, one factory or another closing due to foreign outsourcing or bankruptcy, the bail-out of one or more weak banks, unsustainable consumer or government debt, the euro crisis, strong inflationary signals. Is the financial system close to collapse? Will the policy of monetizing debt in unlimited quantities, operated by the major central banks (US, EU, UK, Japan), lead to hyperinflation? If the crisis is certain to deepen, should you not protect yourself by putting your savings in a harbour that is safe from the coming storm? Identifying the problem correctly is one thing, finding the right solution is another. Many people are certainly aware of the danger, but very few have chosen the right investment, one that will be truly safe and profitable. 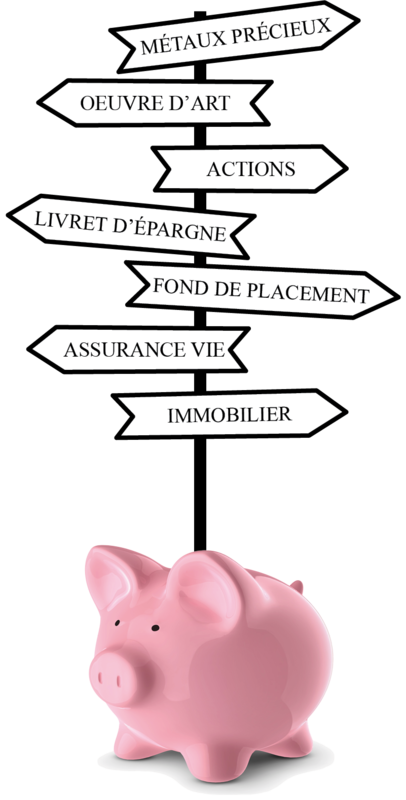 To help them find the ideal solution, we will use a “process of elimination”, presenting in a series of articles the various types of investment that on the face of it seem to protect against a crash and/or inflation, but which actually have many disadvantages: real estate, life insurance, mutual funds, savings accounts, stocks, works of art and other collectables. The last of our articles will present a comparative table showing on the one hand the disadvantages of all these types of investments, and on the other the unbeatable advantages of physical gold and silver. 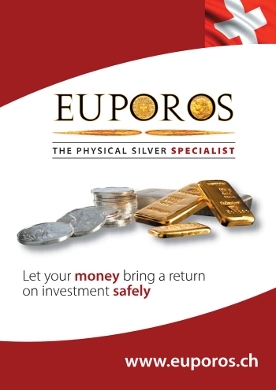 Euporos SA - Presentation brochure 2015. Precious metals are a safe and profitable investment over the medium and long term. They protect against the risk of inflation and/or collapse of a fragile international financial system. The price of gold will keep going up, and even more so the price of silver.